November | 2016 | Footwear Fashionista … a sneak peek into my shoe closet! Oh Prada, how I love thee. I knew when I first set eyes on the “kiltie fringe pump” that I would have to add it to my shoe closet. And thanks to an early Black Friday sale, I didn’t hesitate and scored them at 40% off – just one click into my basket and a day later they were at my doorstep. Although I had to go up half a size, they really are the perfect retro loafer. The flared, block heel may be 3.25″ but it feels much lower and is comfortable to stride in. 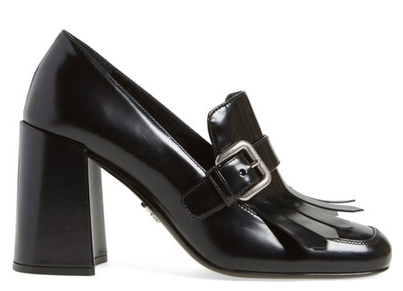 The squared toe, accented with a silver buckle, balances off the chunky heel and looks classic with dresses and pants. It’s a not-so-basic, timelessly covetable shoe, versatile enough to wear day or night. 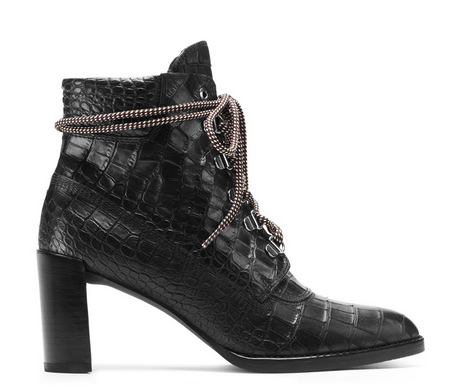 Philanthropy – “the love of humanity, in the sense of caring, nourishing, developing, and enhancing what it means to be human.” Or according to Webster’s: “the practice of giving money and time to help make life better for other people.” The “Gigi Boot” — a design collaboration between Gigi and Stuart Weitzman. I ordered these just to see them in person as they weren’t available in nearby stores. 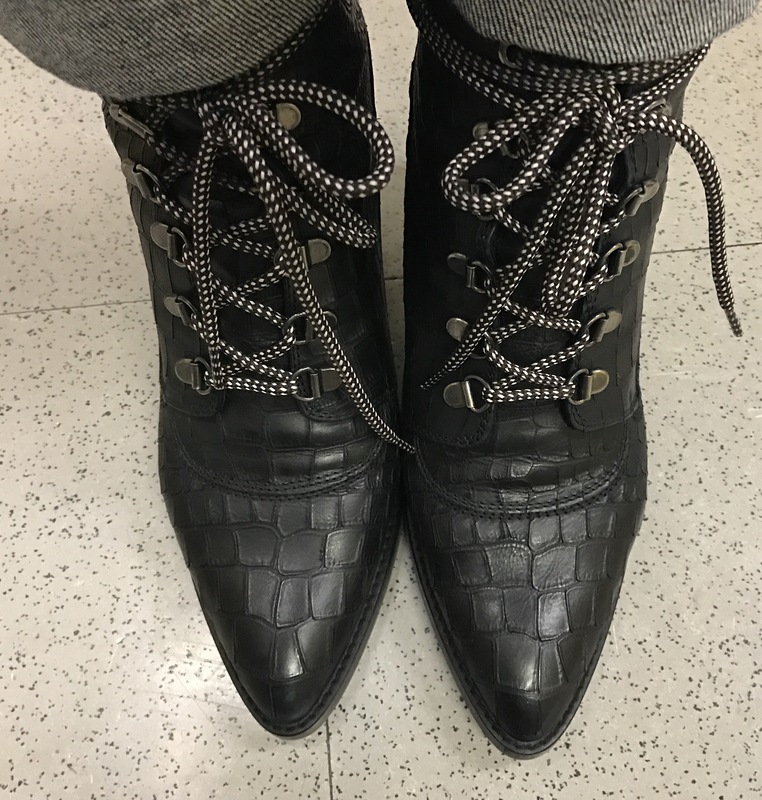 The black, croc-embossed leather boot with the pointed toe is incredibly comfortable, and how can you not love the two-toned laces! Dress them up or dress them down, this boot is perfect, albeit pricey. But it’s for a good cause…this style is a commitment to build three additional schools with Pencils of Promise, an organization dedicated to making quality education accessible to kids everywhere. These boots have my vote! Who knew buying shoes could help humanity.